A traditional forged muscleback design with a true tour grind sole design similar to how Tom Wishon designed Payne Stewart’s forged irons in 1999. Full face to back sole radius with heavily rounded leading edge to deliver more shotmaking consistency from lies in the fairway and rough. 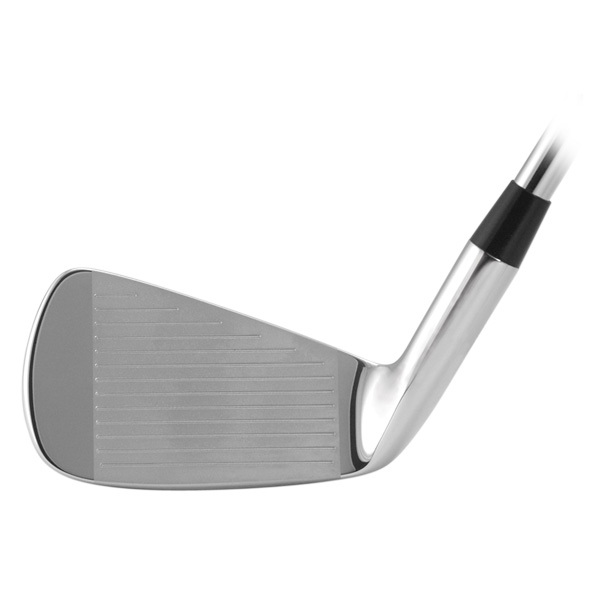 Thin topline, low offset and classic players’ shape make the 555M a design admired by all discerning golfers. True forged from 1035 soft carbon steel through a 5-step forging process which affords greater production shape/grind consistency. 555C and 555M are designed to match perfectly with each other for true custom mix and match set makeup between cavity back and muscleback. Bright satin nickel chrome plating finish with glass bead blast highlights. Available in RH in #3-9, PW, AW, SW. Produced with post-2010 new USGA scorelines. 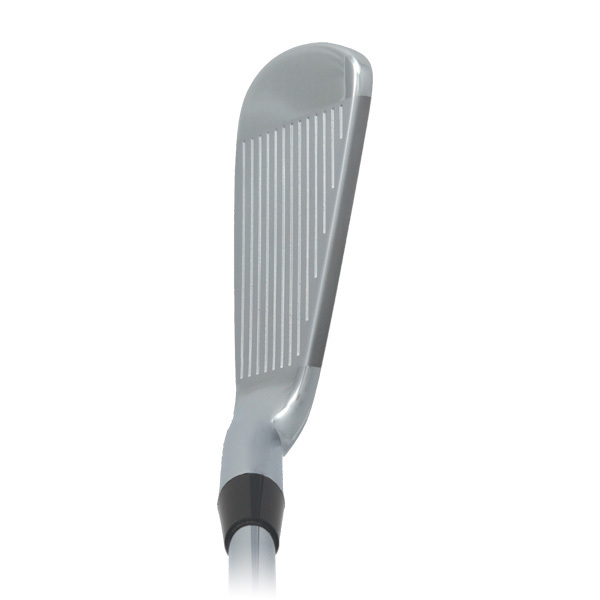 A 360º view of the 555M Iron Clubhead. Tom Wishon talks about the 555C and 555M Forged Irons. Just played first round with these irons, never hit so many tight shots in my life and I am 60 and have played since I was 12. Best iron I have ever hit. Thanks very much for taking the time to stop in and share your experience with the 555M’s. That’s great to hear that you liked the model. Do be aware that the head itself on its own cannot automatically change the dispersion of your shots. The combination of the length, lie, shaft, weighting, grip all have a huge bearing on how well a golf hits any club model. But if the looks of the head behind the ball are what you prefer coupled with the impact feel being positive for your sense of preferred feel, that all helps a lot as well. I did keep the tooling dies for this design and every once in a while I think about a re introduction of these along with their cavity back match, the 555C. Thanks again and the best to you in this great game. 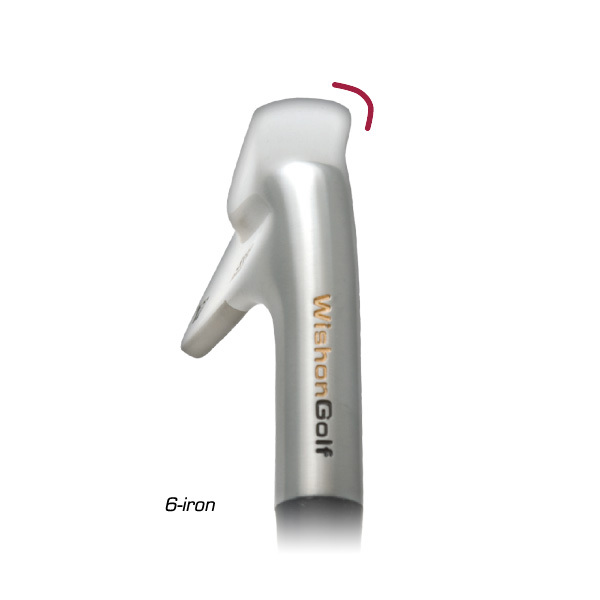 I just wanted to say thanks for designing and producing the best irons in the game. I’m really bummed because the irons I had made by the wonderfully talented Gene Bonk, in San Marcos, CA were stolen out of my vehicle a few weeks back. I had a combo set of 555’s and from the moment I found the sweet spot I knew these were something special. 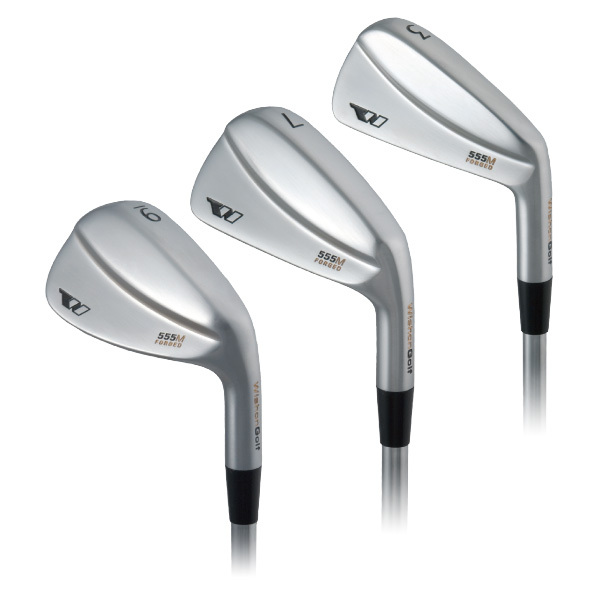 I played Mizuno MP-14’s for years then moved over to Titlist 735’s. I’ve been playing your 555’s since 2011 and whittled my index down to 1.4. Also won my golf leagues US and British Opens in 2015 which earned Player of the Year honors as well. I can say, without hesitation, the purity and continuity of each iron through the bag is as good as it gets and leaves all competition fighting for a distant second. Do you still stock the 555’s or am I going to have get fitted for a newer model? Gene Bonk is my club maker/fitter, and it’s bcuz of him that I decided to try your irons. Also wanted to know if you do any custom heads with no branding, just the # on the sole and my initials stamped on the hosel (or back) of each iron. Thanks again for putting out the best iron in the game. Looking forward to starting the process of rebuilding a new set of clubs, with your product, of course. Are the muscle back irons still available? If so, how would one go about getting them? Heads only. Thanks very much for your interest. 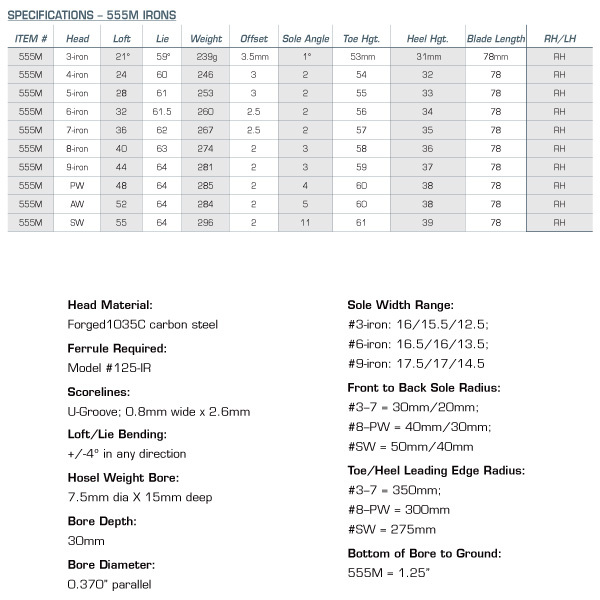 I am sorry but we discontinued the 555C and 555M forged irons in 2012 to make room for the new forged 575MMC in both cavity and muscleback forms. At that time we liquidated all remaining inventory for the 555’s in both versions so we do not have any of those heads around, nor have we for a long time. All I can tell you is to either hunt on Ebay, or register to post on the two biggest golf equipment forums (Golf WRX and MyGolfSpy) and ask people there if they have a set they can part with.